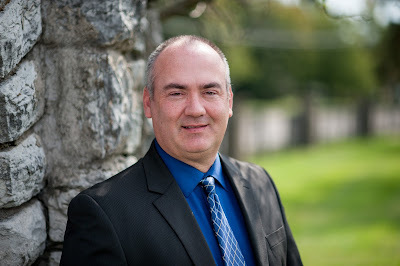 Jeff Cotrell is a Vice President at OMEGA Processing in Fort Thomas, Kentucky. OMEGA Processing Solutions is pleased to announce the hiring of Jeff Cotrell as Vice President Sales. In this role, Cotrell will be responsible for leading OMEGA's corporate wide sales efforts and will report directly to CEO, Scott Anderson. Cotrell will work to develop and refine the company's overall sales strategy, talent recruitment program, sales training and account executive development. In addition, he will be responsible for delivering strong bottom-line sales results across all OMEGA sales channels -- direct sales, inside sales, as well as the company's financial institution referral partner program. With more of a decade of sales management experience, Cotrell brings a wealth of knowledge to his new role at OMEGA Processing Solutions. His vast and varied experience in the payments industry allows him to be an excellent fit to lead and develop OMEGA's enterprise-wide sales efforts. "I'm excited for this new challenge at OMEGA Processing Solutions," Cotrell says. "My background in building and managing teams will allow me to bring the best practices and procedures to OMEGA." "We are very excited to have Jeff take over the day-to-day sales leadership reins," says OMEGA Processing Solutions President, Todd McHugh. "It frees resources for our senior leadership to pursue strategic business development opportunities and partnership relationships, as well as remain connected with our leading customers and strategic opportunities." OMEGA Processing Solutions is the sole sponsor of FTM Radio. Listen to the archives at FortThomasMatters.Podbean.com or download "Fort Thomas Matters" anywhere you listen to podcasts.